The Fitch Laboratory holds regularly a two-week postgraduate training course providing an introduction to ceramic petrology. The course, building upon the Fitch’s established reputation in ceramic petrology applications and its extensive reference collections of geological and ceramic thin sections, was offered for the first time in spring 2010 after a generous grant by the Bradford McConnell Trust to build the necessary teaching infrastructure (teaching microscopes and thin section collection of rocks, archaeological and experimental ceramics). 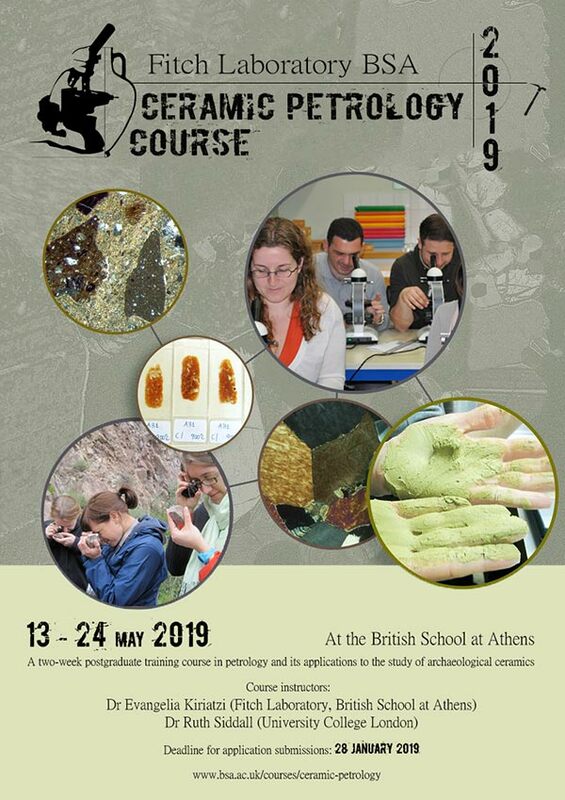 The course is open mainly to scholars with no previous experience in petrology, although familiarity with archaeological ceramics would be useful. 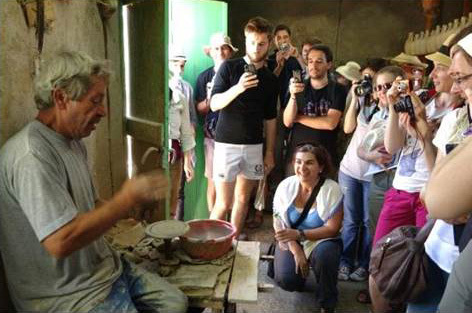 It is an excellent introduction for students already enrolled in a Master’s or research degree in archaeological materials, as well as for postdoctoral researchers and academics interested in being familiar with ceramic petrology applications. Although the focus is primarily on ceramic materials, the skills learnt are applicable to the study of lithics, building materials, pigments and soils. The next course will run in May 2019 (13th-24th). For more details please check the advert below. For further information contact the Laboratory Director (e.kiriatzi@bsa.ac.uk) or the Laboratory Administrator (zoe.zgouleta@bsa.ac.uk).